First, you need to click on the “Affiliate program” tag, which is located at the bottom of the page or simply click this link. After that, you need to confirm that you’re not a robot by filling in the captcha and select ‘Sign up’. 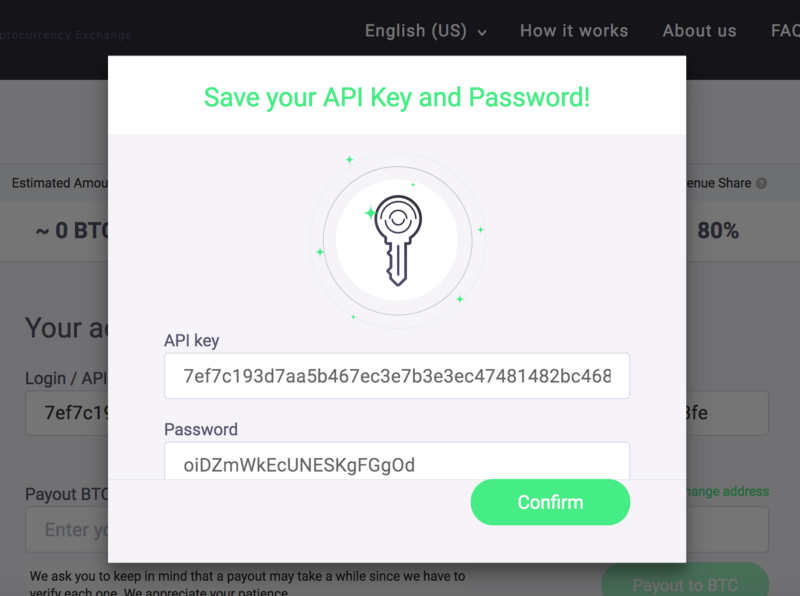 Please note that we recommend that you save and store your password and API key in a safe place. This way you will avoid trouble when logging in to your personal account.